A member of the Company’s Board of Directors since December 2011, he was the founding CEO of Amedica Corporation (www.amedica.com), an orthopedics implant company utilizing its novel Silicon Nitride platform technology. 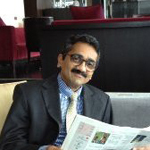 While at Amedica, Dr. Khandkar led the company through the various stages of its development including the invention and co-authoring of its core patents, the design and implementation of its state of the art manufacturing facilities, regulatory clearances and commercialization of its ceramic products, including the first ever ceramic spinal implant cleared for humans by the FDA. In 2010, he founded Bloxr, a Salt Lake City radiation protection company that was sold to an industry buyer in September 2014. Since early 2015, he has been consulting with Xenocor, a startup founded on a novel laparoscopy platform. Dr. Khandkar’s 27 years of experience in advanced technology companies also spans management of finance, regulatory clearances, strategic planning and business development. He is an inventor on 35 U.S. and international patents. He is an Adjunct Associate Professor at the University of Utah. Dr. Khandkar earned his Ph.D. in Materials Science from Arizona State University. A co-founder of the Company, serves as its Chief Scientific Officer and a member of its Board of Directors. 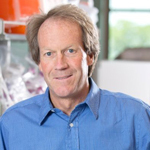 Dr. Grainger is a Distinguished Professor and Presidential endowed Chair of the Department of Pharmaceutics and Pharmaceutical Chemistry, and Professor of Bioengineering, at the University of Utah. He serves as a scientific advisor to the AO Foundation in Switzerland and the affiliated Synthes Orthopaedics, the leader in orthopedic trauma devices, before its 2011 acquisition by Johnson & Johnson’s DePuy orthopedics division. 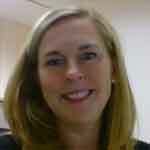 Dr. Grainger’s research is focused on biomedical polymer-based drug delivery and implanted medical device innovation. Prior to joining the University of Utah faculty in 2006, Dr. Grainger held faculty positions at Colorado State University and Oregon Health Sciences University. He has helped to found three biomedical technology companies, sits on the scientific advisory boards of four companies and actively consults internationally with industries in applications of materials in biotechnologies and medicine. Dr. Grainger graduated from Dartmouth College with a B.A. in Engineering and Chemistry, received a Ph.D. in Pharmaceutics from the University of Utah, and was Humboldt Postdoctoral Fellow at the University of Mainz, Germany early in his career. A founding partner of Upstart Ventures in Salt Lake City, Utah, a Salt Lake City life sciences seed fund. Over the last 24 years, Mr. Farrar has co-founded 13 Salt Lake City-based life sciences companies including Myriad Genetics (Nasdaq, MYGN), a genetic and molecular diagnostics company; Acacia Biosciences, a gene profiling company merged into Rosetta Inpharmatics and acquired by Merck; Sonic Innovations, a digital hearing aid company; Q Therapeutics, a stem cell therapy company; and Sera Prognostics, a preterm birth diagnostics company. He is an attorney who has specialized in corporate law, including representation of health care companies. Mr. Farrar was a partner at the VanCott, Bagley, Cornwall & McCarthy law firm in Salt Lake City, and was previously associated with Debevoise & Plimpton in New York City and McCutcheon, Doyle, Brown & Enersen in San Francisco. He received his law degree from Stanford Law School, where he was an editor of the Law Review, and a B.A. degree in Political Science from Stanford University. Rai serves as Elute’s VP Manufacturing. 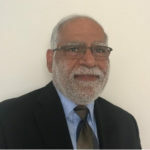 He brings over 30 years of experience from Life Sciences, advanced manufacturing, hi-tech hi-volume manufacturing, and production of polymers and composites. He has served in various roles most recently as an executive with oversight of operations, quality and manufacturing. His achievements include inventing and commercializing numerous medical devices technologies. Recognized for the first ever thermal bonding of Titanium with Cobalt Chrome, he won the Sulzer Innovation award from his parent company in Switzerland. In the recent past he played a vital role in the design and execution of animal and preclinical studies and consulted on scale up manufacturing of polymer-ceramic composite bone void fillers. Rai has been instrumental in getting products through the regulatory process working with the FDA, setting up the QMS, and obtaining ISO 13485 and CE registration for medical devices. He has also played the lead role in mapping supply chains from source to point of use while optimizing efficiency and eliminating risk factors. His team was key to launching products from conceptual design to pilot, and then to commercial scale manufacturing. 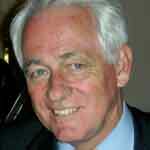 His contribution to onboarding key clients such as GE, Phillips, and Siemens are also noteworthy. His credentials include graduate study in Business Management, and a Master’s in Materials Science from Arizona State University. He is also certified as a Quality Auditor, Quality Manager, Quality Engineer, and Six Sigma Black Belt from the American Society for Quality. Rai’s has played a key role in many organizations including Intermedics Orthopedics / Sulzermedica, Applied Materials, Dell, DuPont, BLOXR, Edwards Life Sciences, Reckitt Benckiser, Glaxo, Amedica, Lam Research, Intuitive Surgical, and Abbott Spine. Serves as Financial Controller for the Company. She concurrently serves as the Corporate Controller for Q Therapeutics, a clinical stage company targeting a treatment of Amyotrophic Lateral Sclerosis (ALS or Lou Gehrig’s disease). Prior to Q Therapeutics, Ms. Sorensen worked as the Assistant Controller at World Heart, Inc, and Amedica Corporation, both medical device companies, and at NPS Pharmaceuticals. Ms. Sorensen graduated from Brigham Young University with a Bachelors Degree in Business Management and a Masters in Business Administration from the David Eccles School of Business at the University of Utah.